Taking a trip to Israel? One of the first surprises for an American tourist traveling in Israel is what the streets are called. Jewish names are everywhere: Trumpeldor, Jabotinsky, Ben Yehuda. To someone brought up with Main Street, Elm Street, Smith Street, these are a revelation and a delight, as indicative of a Jewish nation as are the mezuzot on the doorposts of shops. Names imply a people and a history, and in Israel, history is everywhere. Even an ordinary street sign is a signpost to the past. 1. Osvaldo Euclides de Sousa Aranha was born in February 1894, one of eleven children. He was called “Spider,” his mother’s maiden name. 2. He was one of the chief organizers of the 1930 revolution in Brazil and held a number of high positions in the government. From 1933-37 he was ambassador to the United States. But why is he in this blog, and why should you know his name? 3. 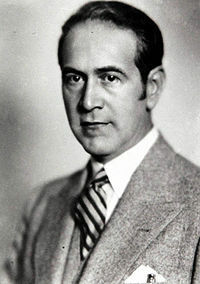 Here’s why: He headed the Brazilian delegation to the United Nations and was President of the General Assembly in 1947. It was he who postponed the vote on the United Nations Partition Plan for Palestine (UNGA 181) for three precious days, giving Harry S. Truman time to call on heads of state and persuade them to vote in its favor. Critical votes were changed and the partition plan adopted. The way was open for a Jewish state. 4. He died in January 1960. 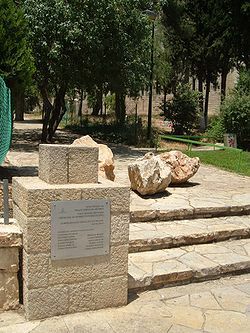 Streets in Beer Sheva and Ramat Gan and a square in Jerusalem are named in his honor. 5. In 2007, Oswaldo Aranya Street in central Tel Aviv was named at a ceremony attended by his relatives and by Brazil’s ambassador to Israel. 1. He was born Isaac Moise Cremieux in Nimes, France, in 1796, to a family that had adopted the revolutionary cause. He was educated at the Lycee Imperial, where he and his cousin were the only Jewish students. In 1817, he was admitted to the bar as a lawyer. His politics were liberal, and he was known for his skillful oratory and broad knowledge of the law. 2. For a Jew to be admitted to the bar in European courts of law, an oath was required, the More Judaico. This was a humiliating exercise, related to the disavowal of oaths in Kol Nidre. 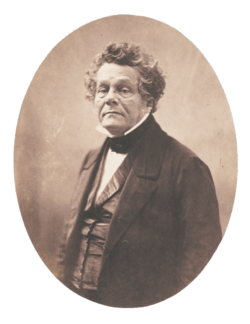 Cremieux refused to take the oath and later, in 1827, defended two others who had refused it – leading to its abolition. 3. 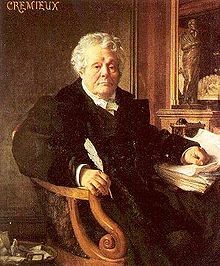 In 1834, he became Vice-President of the Central Consistory of the Jews of France, which administered Jewish affairs. He was to hold this position for 46 years, until his death. 4. In 1840, a blood libel gave rise to the Damascus Affair, in which confessions of the ritual murder of a monk were extracted by torture. Cremieux became part of a delegation to Constantinople that included Moses Montefiore. They succeeded in obtaining recognition of the innocence of the Jews imprisoned in Damascus; release of the nine (out of an original thirteen) still-living prisoners; and a declaration from the Sultan that the accusation of ritual murder was absurd. 5. In 1842, he entered the Chamber of Deputies; but he took an active role in the 1848 revolution and was imprisoned for a time after it failed. 6. In 1860, in Paris, he undertook a new strategy for safeguarding the rights of Jews everywhere, as a founder of the Alliance Israelite Universelle. He became its president in 1864, a position he held until his death. The organization’s mission was to free Jews from oppression and discrimination and to defend them wherever they were subject to persecution. 7. This was a high calling, which began with education. The organization opened its first school in Morocco in 1862, to introduce French education and culture to Jews of the Middle East. This strategy – to improve the conditions of Jews in the Middle East through education – has continued down to the present day. Schools were opened throughout the Ottoman Middle East, and teachers were trained to staff them. The organization continues to operate dozens of schools and educational programs in Israel today. 8. An effort was made, as well, to educate the broader public through the press, through pieces on Jewish history and Jewish life. In addition, Cremieux and others worked through friendly governments to exert pressure on those whose laws discriminated against Jews. 9. Cremieux was active in the courts on behalf of Moroccan, Rumanian and Russian Jewry. 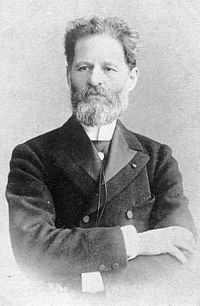 In St. Petersburg in 1866, he successfully defended the Jews of Saratov against a blood libel. His work created stronger solidarity among Jews of different countries. 10. He re-entered public life in 1869 as a deputy of Paris. In 1870, he proposed and got adopted the Cremieux Decree, which secured full French citizenship for the Jews of Algeria. This was an important moment, but one which had later repercussions: the status of Muslim Arabs and Berbers remained “indigenous,” causing ill feeling. 11. Daumier did two lithographs of him, poking fun at his appearance. 12. He died in Paris in 1880 and is buried in Montparnasse Cemetery. Streets are named for Cremieux in the German Colony in Jerusalem, in central Tel Aviv, and in the French Carmel district of Haifa. 1. This is the story of two brothers, both of them ardent Zionists. Oskar Marmorek is certainly the man for whom Marmorek Street is named, but Alexander is equally worth knowing. 2. Oskar was born in Galicia in 1863 and trained as an architect. In 1895, he met Theodore Herzl [see my blog post of 6/26/13]. He helped Herzl and Max Nordau [see my blog post of 6/19/13] organize the First World Zionist Congress in 1897, and from then on dedicated himself to Zionism. 3. In May 1901, he traveled with Herzl and David Wolffsohn, Chairman of the Jewish Colonial Trust, to Istanbul to meet with the Sultan in hopes of fostering Jewish life and settlement in Palestine. 4. 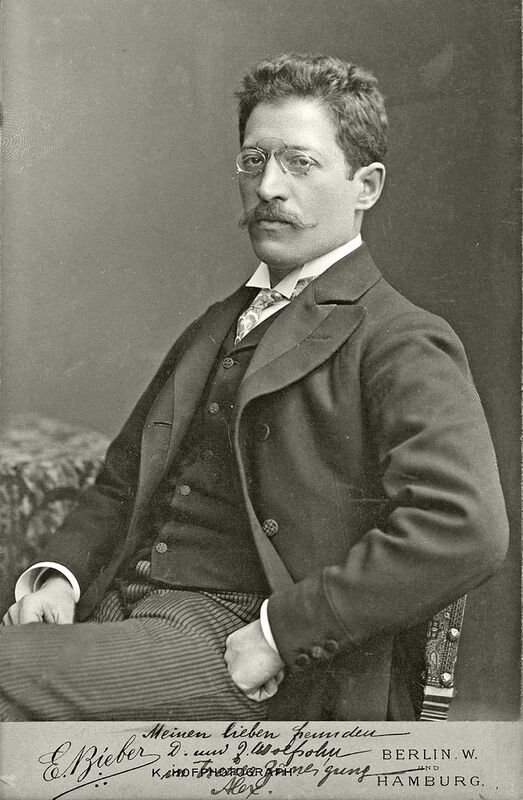 In 1904, after Herzl’s death, Oskar Marmorek was appointed acting chairman of the World Zionist Organization until the election of David Wolffsohn in 1905. 5. Herzl’s character Dr. Steineck in his book Altneuland is said to be modeled on Oskar – but I wonder whether it was actually his brother, Alexander, a bacteriologist; or even an amalgam of the two. Decide for yourself…. 6. Alexander Marmorek was born in Galicia in 1865, two years after Oskar. He was educated at gymnasium and at the University of Vienna, earning his M.D. in 1887. 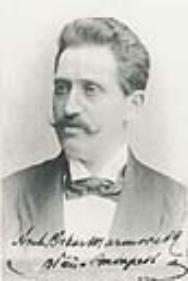 As a student he joined Kadimah, the first students’ Zionist society of Vienna. 7. He went to study in Paris and became an assistant at the Pasteur Institute. In 1900, he claimed to have discovered an antidote to puerperal fever, but it proved unsuccessful. However, he did find an antistreptococcus serum that was useful in animals. 8. In 1903, at the French Academy of Medicine, he claimed to have found an antidote for TB. His was one of a long train (at least seven between 1890-1903 alone) of experimental treatments using horse serum that failed because the researchers lacked knowledge of the basic biology of the bacterium. 9. He served as an officer at the first Zionist Congress and succeeding ones. He was head of the French Zionist Federation and founder of the Jewish Popular University in Paris. 10. He was one of the founders of the Parisian Zionist monthly Echo Sioniste. He was decorated with the Legion of Honor. 11. Oskar Marmorek died in Vienna in 1909; his brother Alexander died in Paris in 1923: two brothers, both Zionists, neither of whom made aliyah, both of whom did much to further the vision of a Jewish state. Marmorek Street can be found in central Tel Aviv intersecting at the spot where Ibn Gevirol becomes Yehuda Halevi Street. 1. He was born Mordukh Matysovich Antokolski in Vilna in 1840, the last of seven children, to a Jewish family of modest means. As a boy, he drew everywhere, on any surface – table, walls – and did small woodcuts. Though his father thought this an odd occupation, eventually he apprenticed the boy to a wood-cutter. 3. Predictably, his subjects raised controversy, but nonetheless he met with early success. 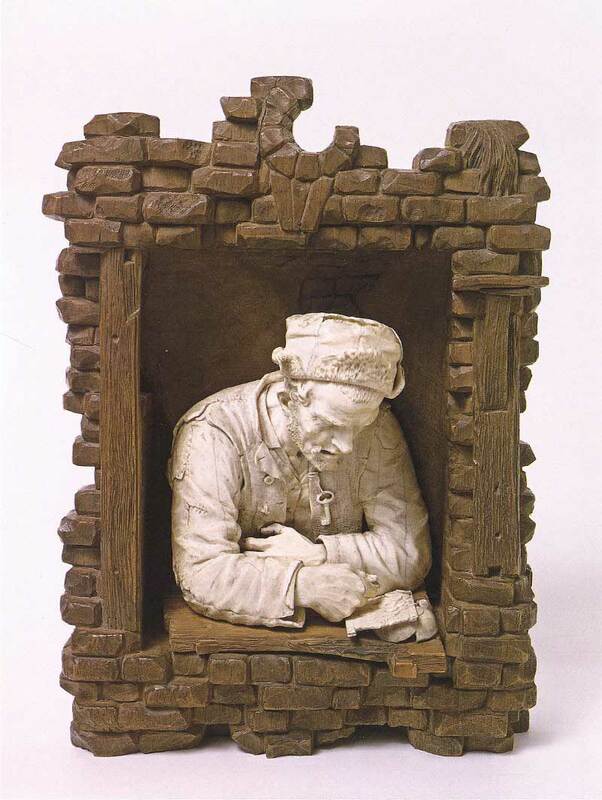 “A Jewish Tailor” (1864, in wood) won a small silver medal from the Academy. “Stingy Man” (AKA “Jewish Miser” AKA “Miser Counting his Money,” 1865, in ivory) was awarded the Grand Silver Medal. 5. In poor health, he went to Italy in 1871, and in 1877 settled in Paris. In summers, he frequently returned to Vilna. 7. In Italy, in 1872, he completed a statue of Peter the Great for the Peterhof Palace. Initially, it was poorly received…. 8. 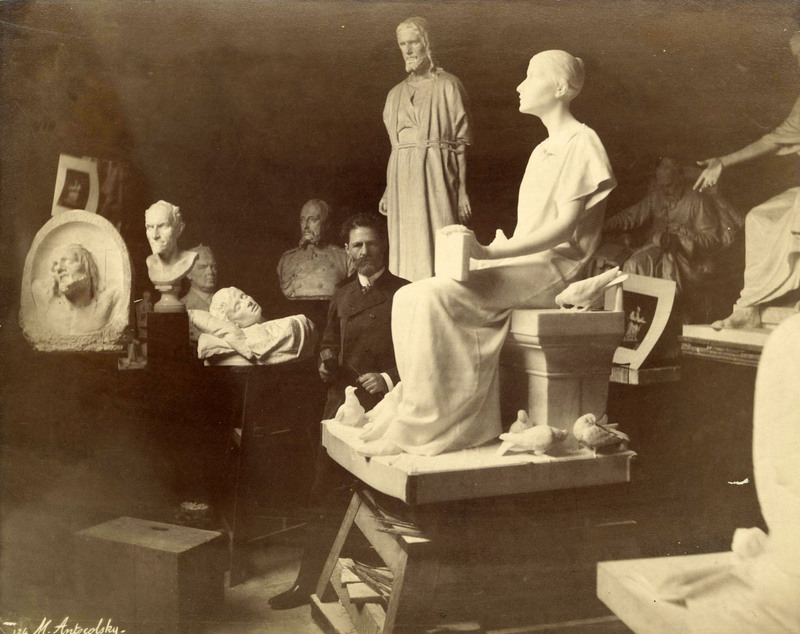 Then came the Universelle Exposition in Paris, 1878. Antokolsky received the grand prize for an exhibition of his works, including “Peter the Great,” and he was awarded the French Legion of Honor. 9. He died in 1902 and is buried in St. Petersburg in the Jewish section of the Preobazhenskoye Cemetery. 10. A large portion of his work is in the Tretyakov Gallery in Moscow, but several smaller sculptures may be found in the Israel Museum in Jerusalem. In Tel Aviv, you’ll find Antokolsky Street off Ibn Gevirol, just south of, and parallel to, Arlosoroff. Marilyn Oser lives in New York's Hudson Valley and on Long Island. The author of several works of fiction and nonfiction, her writing won her the University of Michigan’s coveted Avery Hopwood Award. Read her novel RIVKA'S WAR. Visit her at www.marilynoser.com.